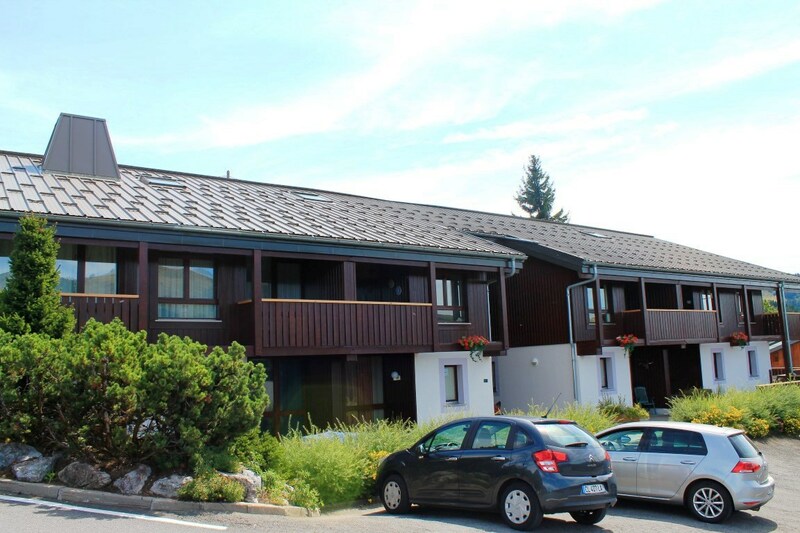 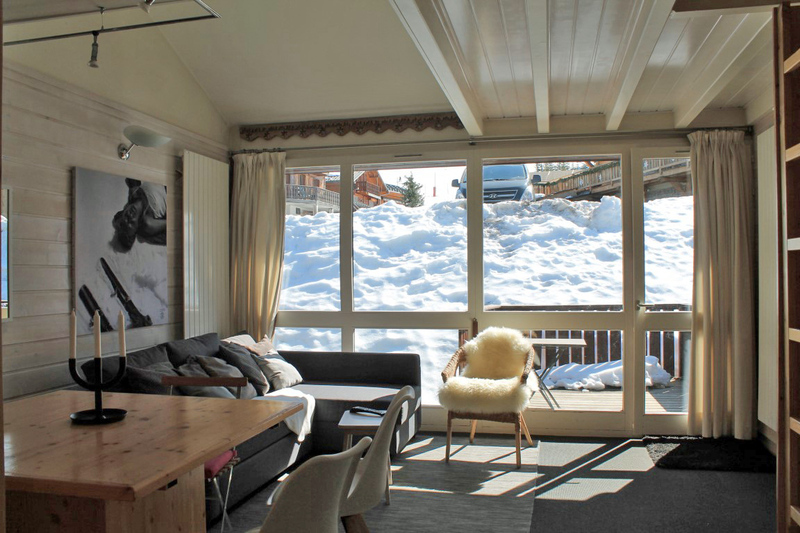 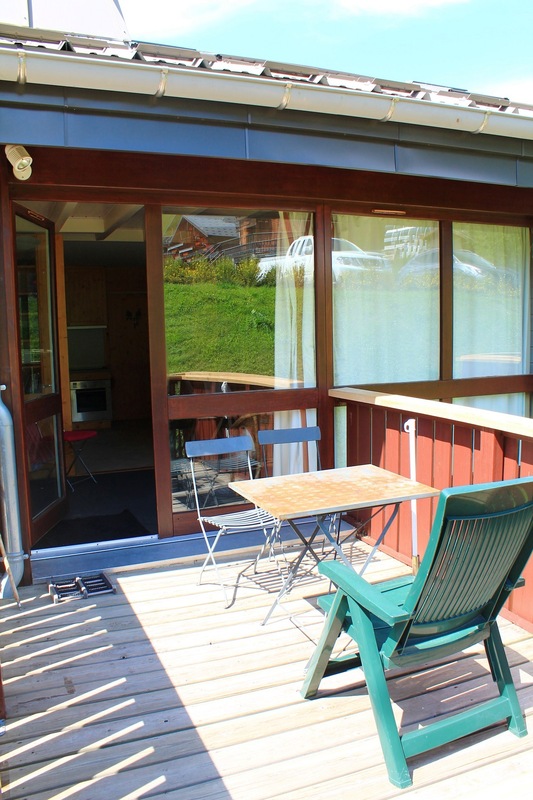 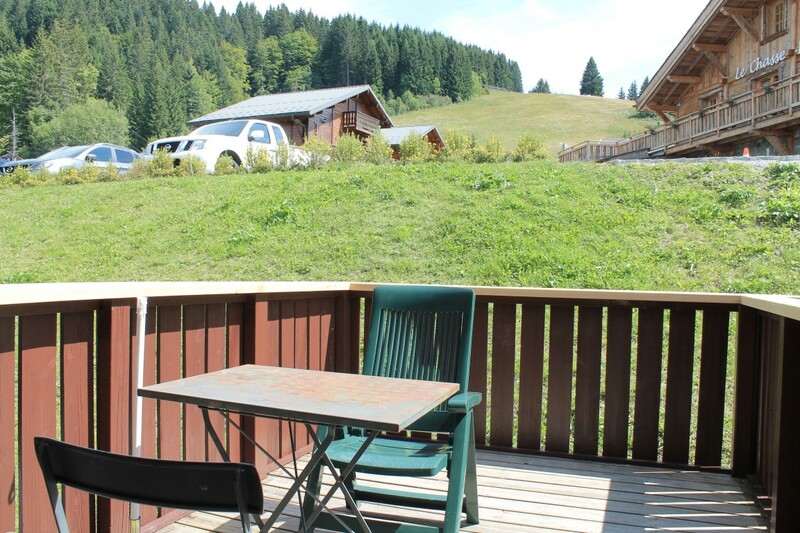 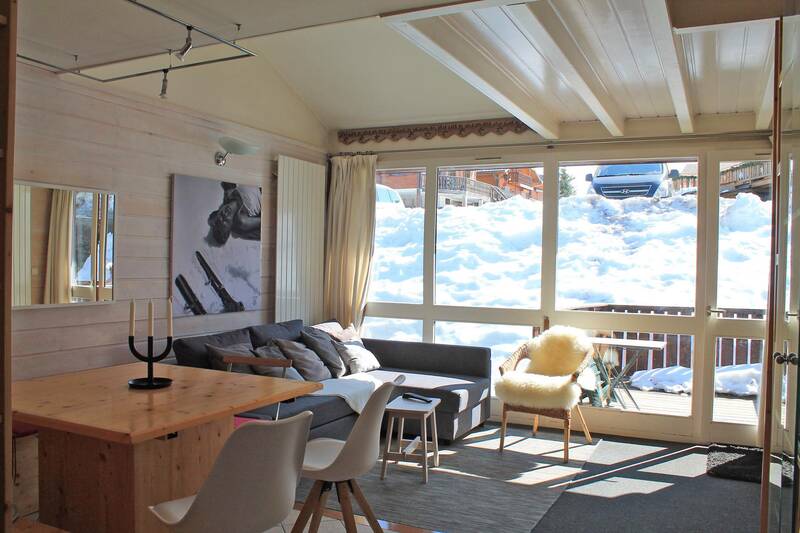 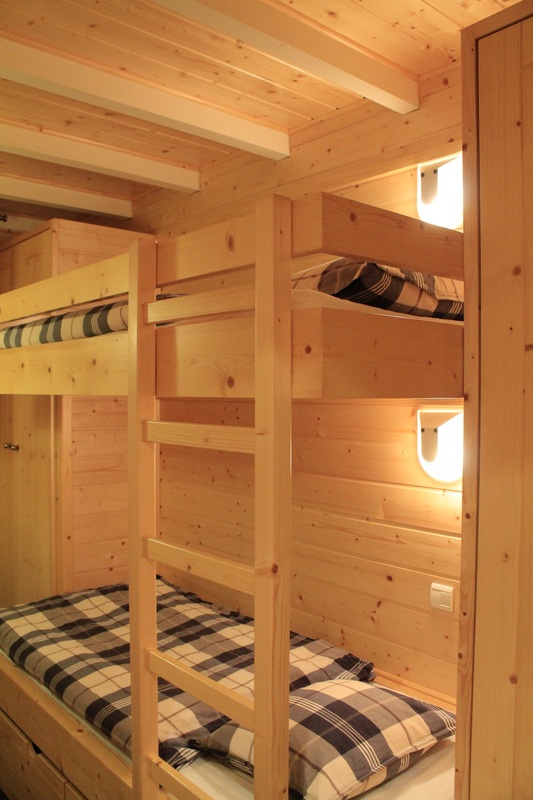 This duplex apartment is about 2.5 km above the centre of Les Gets on the Chavannes road. 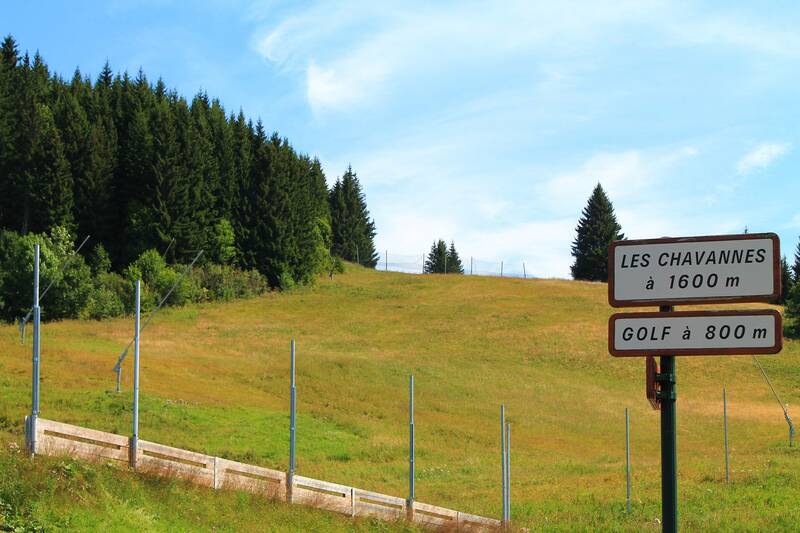 You have direct access to the Les Folliets chair lift and the Les Gets golf course is also very nearby. 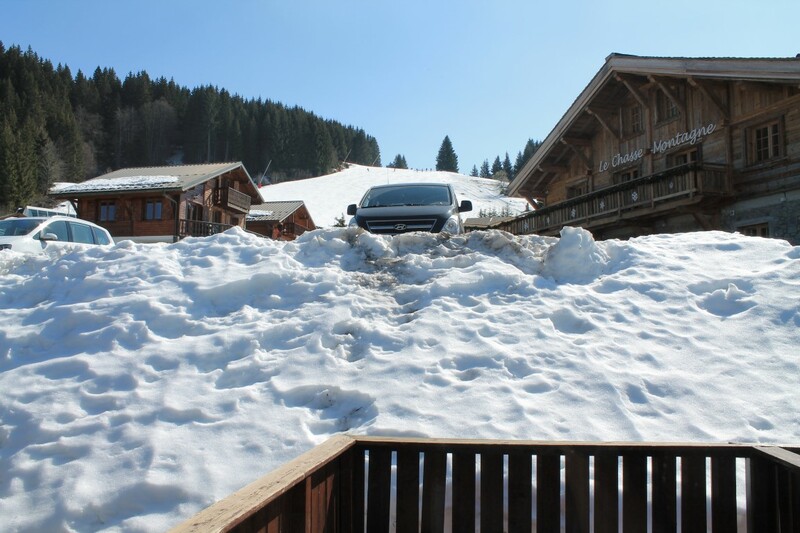 And to go down to the village, the shuttle bus conveniently stops just outside the door. 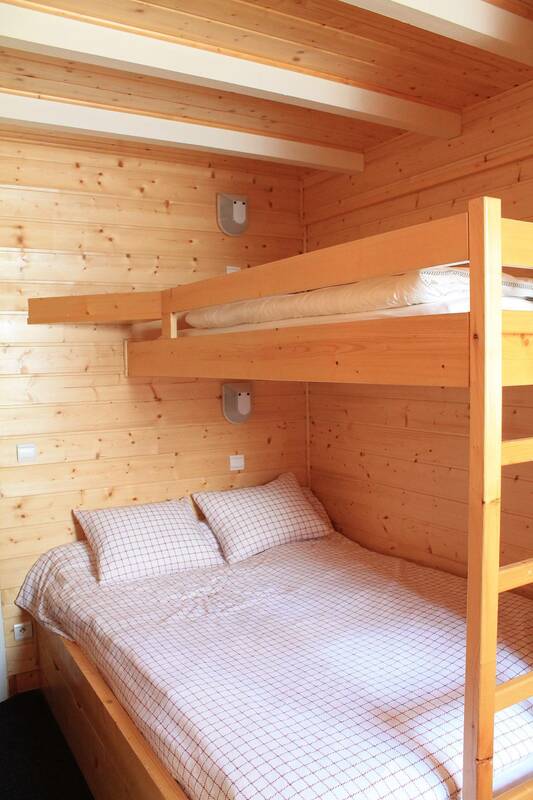 The apartment has a floor area of 46m² with a spacious, sunny living room and 2 good sized bedrooms. 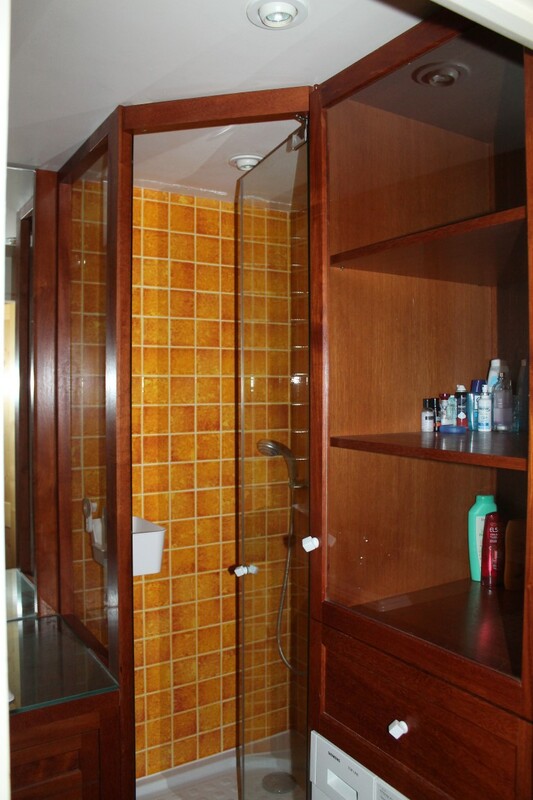 It is in excellent condition as it was renovated quite recently. 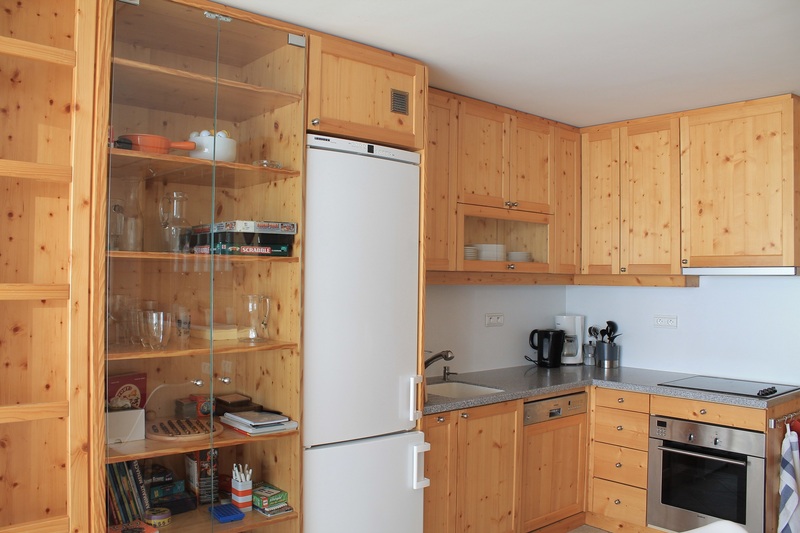 The property is sold furnished and with a cellar and a garage. 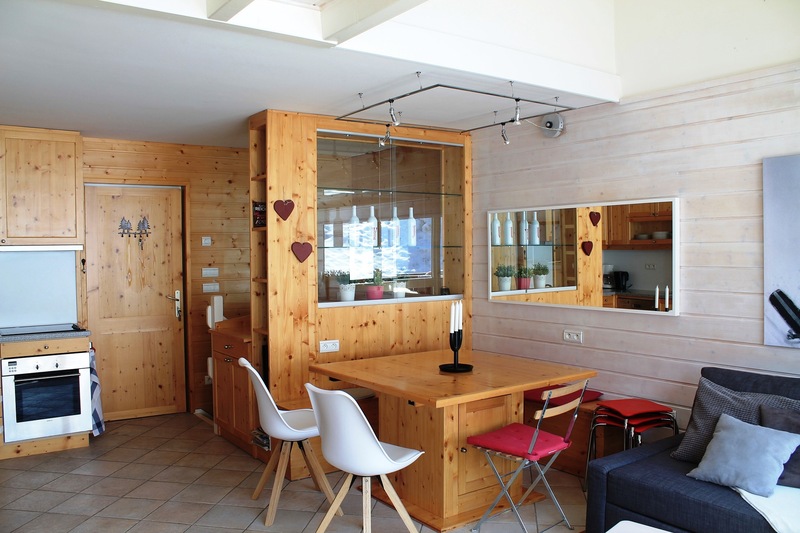 An entrance hall, a bright, spacious living room with picture windows and an open kitchen. 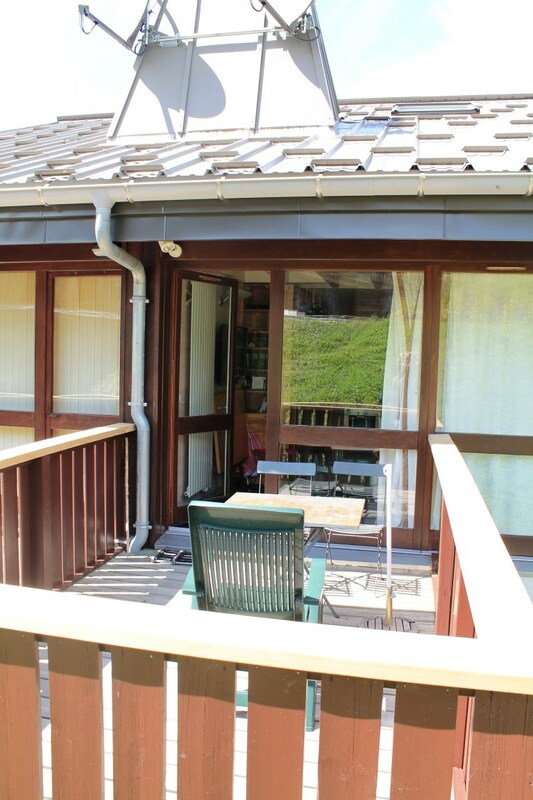 Outside is a large south facing deck. 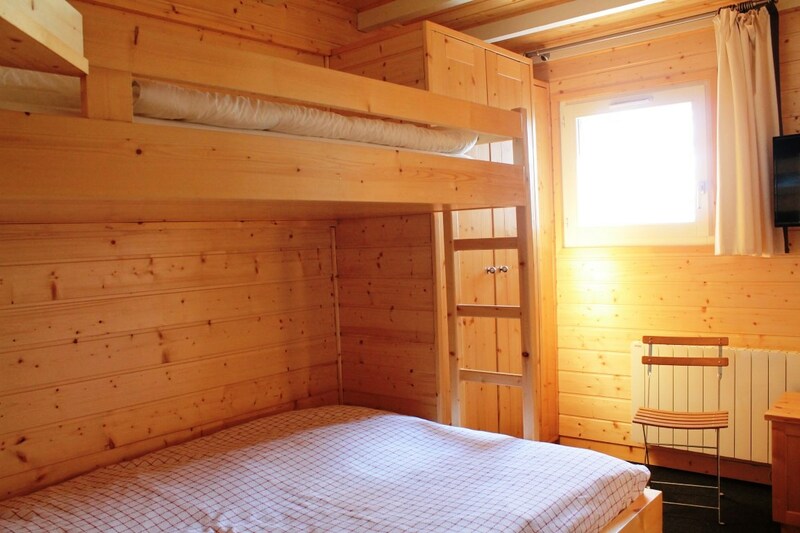 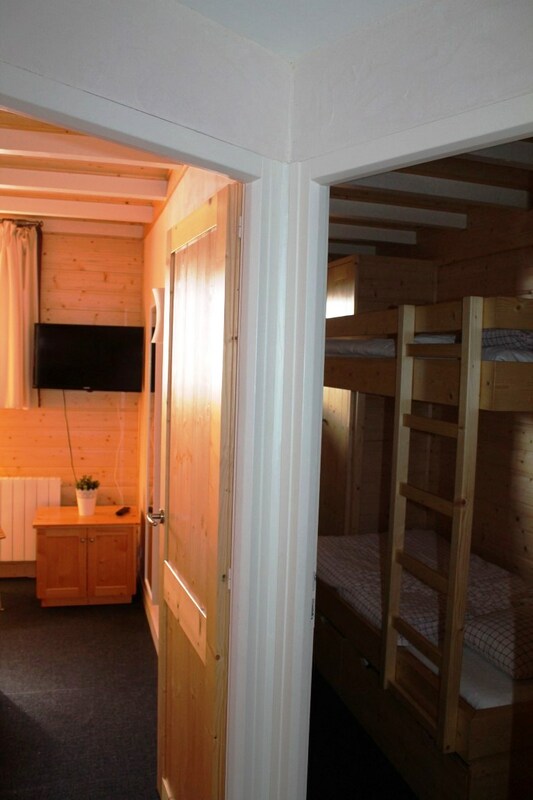 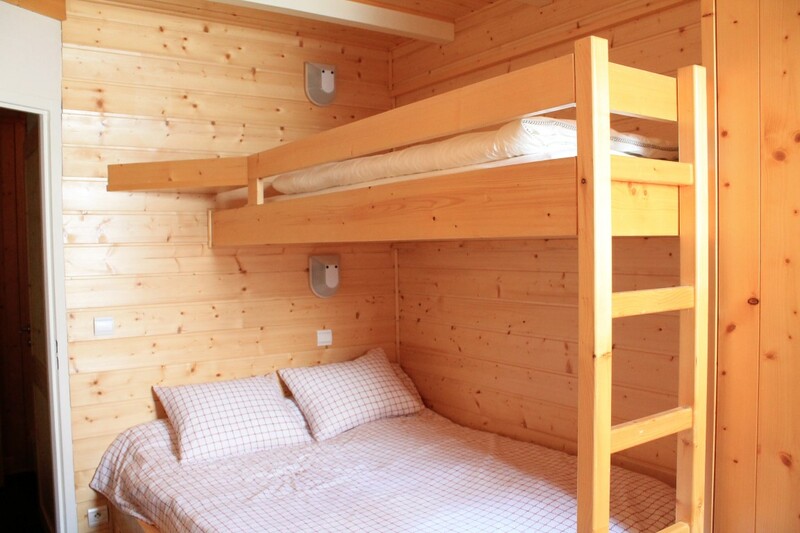 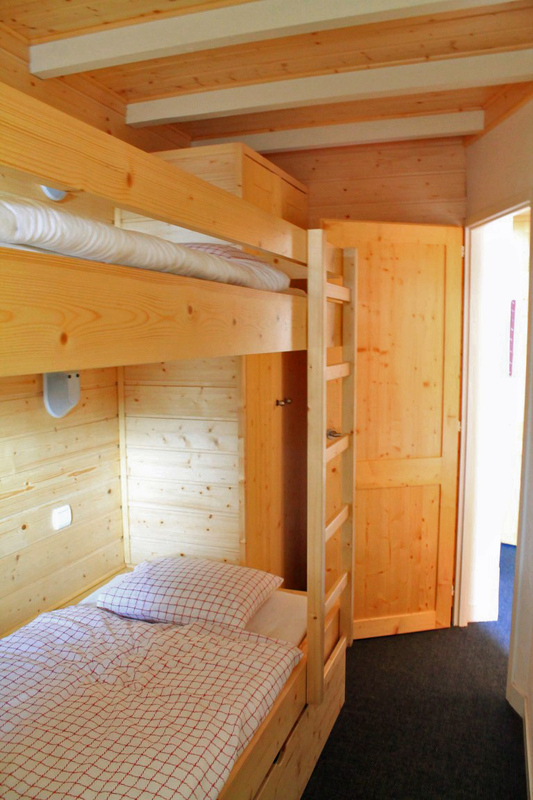 On the lower level are 2 spacious double bedrooms, a shower room and a WC.